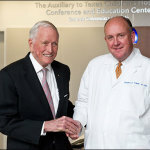 Thanks to the vision of legendary heart surgeon Dr. Denton H. Cooley and the leadership of Texas Children’s Hospital Surgeon-in-Chief Dr. Charles D. Fraser Jr., the Texas Children’s Hospital Heart Center is one of the most active pediatric heart programs in the United States, setting a record with 32 heart transplants in 2014 and consistently treating the most complex heart issues every day. 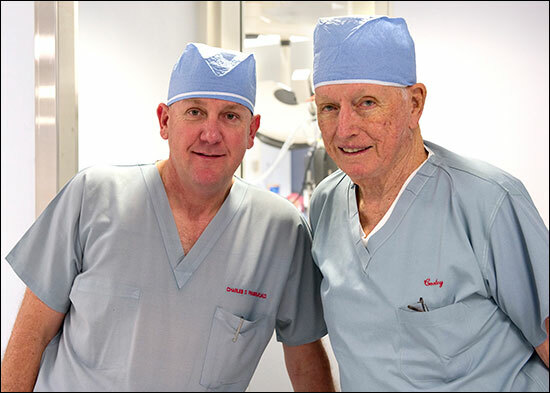 Since its inception 60 years ago, surgeons with the program have performed more than 27,000 cardiac operations, many of which have pushed the boundaries of a field pioneered by Cooley at Texas Children’s Hospital. 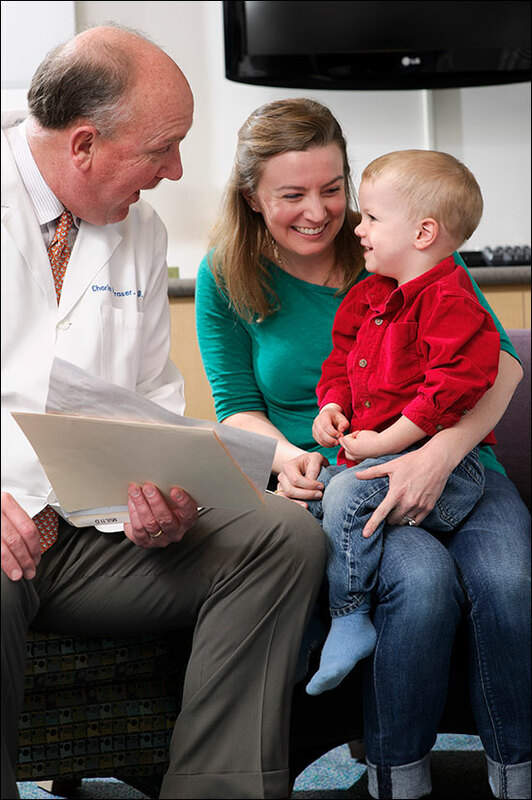 The center has continued to push such boundaries under the leadership of Fraser, who joined Texas Children’s in 1995 and has helped focused the center on increasingly complex repair work, particularly in newborns and premature infants. The Heart Center began shortly after Texas Children’s opened its doors in 1954, a time when the idea of specializing in cardiology or heart surgery was a new concept on adults, much less children and infants. 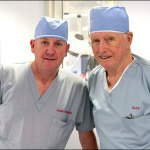 But, Cooley, a masterful surgeon ready to implement the advancements he had seen in medical school, was determined to make Texas Children’s the birthplace of pediatric cardiac care. 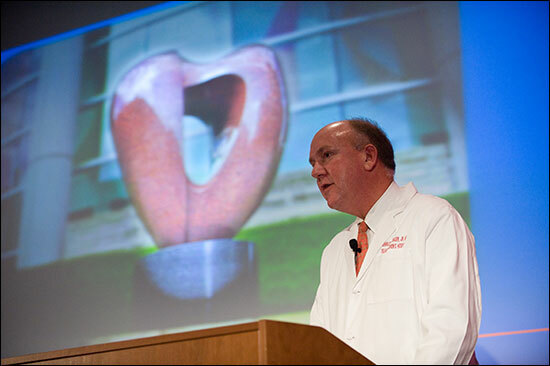 One of the program’s first major advances came when Cooley and his colleagues were able to open up the heart and operate inside it. The development of the heart-lung machine, which diverted blood from the heart and lungs, allowed this to happen and drove other doctors to Texas Children’s to observe what was unfolding. Another milestone that garnered the Heart Center a lot of attention came in 1984 when Cooley performed the first pediatric heart transplant on 6-month-old Sara Remmington. The procedure was unlike anything that had been done, even in adults. “That really was an exciting occurrence that attracted a lot of attention to the Texas Children’s surgical program,” Cooley said. 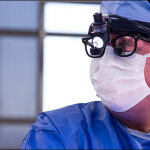 Fraser, who recently celebrated his 20th anniversary with Texas Children’s Hospital, is no stranger to monumental surgeries. 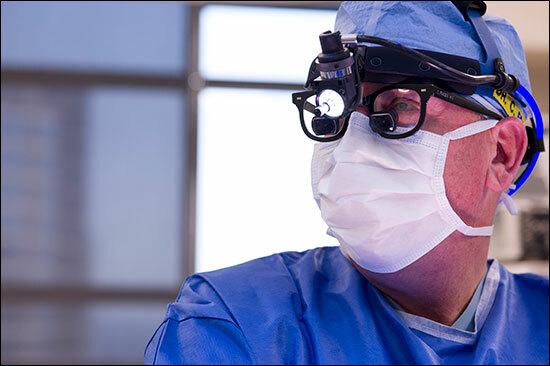 During his career with the organization, he has performed the smallest arterial switch operation ever reported on a baby girl weighing less than two pounds. He also led a surgery on then 5-week-old Audrina Cardenas, who was born with her heart outside her chest. 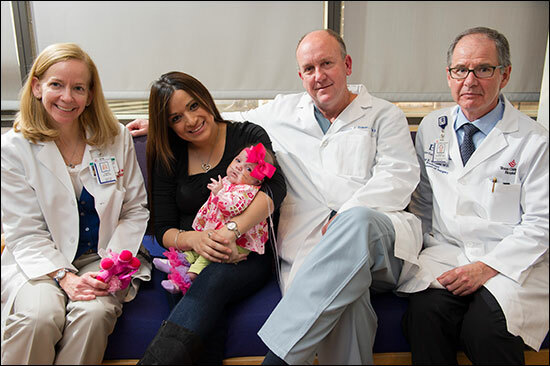 Fraser and a group of multidisciplinary surgeons saved Audrina’s life during a miraculous six hour open-heart surgery where they reconstructed her chest cavity to make space for the one-third of her heart that was outside of her body. Looking forward, Fraser said his team will continue to refine their techniques and focus on smaller and smaller children. Also, he said his team will work toward providing children with heart problems a life similar to that of a person with a normal, healthy heart. 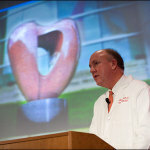 An important part of the Heart Center’s path forward is its continued relationship with the Texas Heart Institute, which Cooley started in 1962. 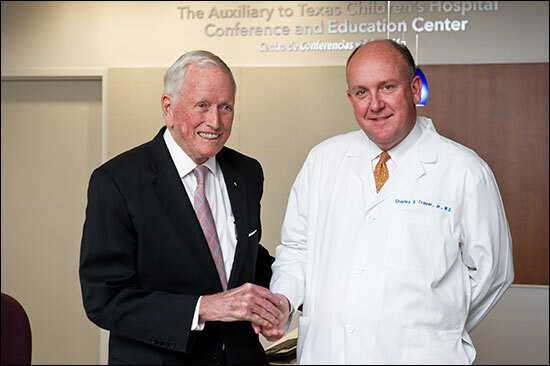 For more than four decades, the two institutions have worked closely as they achieved numerous successes and Fraser said as long as he’s with Texas Children’s that relationship will continue.